A little over a year ago, against my better judgement, I decided to work with a client who owned a business grossing about $10 million a year. Their goal the previous year? So in spite of doing what I preferred – staying home with my Doberman, the Shih Tzu and the Colombiana – I let this guy talk me into being the rock star “prophet from out of town” rain-maker at their start-the-New-Year-off-with-a-bang team meeting. It was pretty uncomfortable for me to watch the founder and leader of this little motley crew explain why they didn’t even come close to reaching their goal. It was even more painful to see him slump over (literally) as he announced this year’s new goal… $11 million. I immediately started planning how I could tactfully fire this client as quickly as possible. You see, after only 57 minutes into that meeting, I knew beyond a shadow of a doubt this $10 million/year business was rapidly heading to a $4 million business… within 11 months or less. But a tactician can’t build a B-U-S-I-N-E-S-S.
On the other hand, a strategist has a meticulously engineered and coordinated plan to build a stable business that continually feeds itself and grows exponentially. 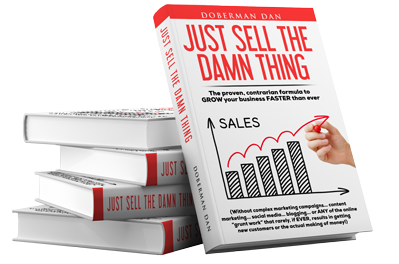 Most tacticians mistakenly believe most of their time and marketing budget should be invested in constantly getting new customers. And many realize they need expert help figuring out how to do that. So (just like my short-lived client) they go out and find themselves some experts. When asked how to get more customers, guess what the the SEO guy says? Guess what the PPC expert says is the best way to get customers? So our tactician “leader” surrounds himself with a bunch of tactician specialists. Not a single strategist in the bunch. Just like our fractional reserve central banking fiat currency system, you can keep the party going for a while… but it’s headed for a crash. And it’s gonna be a big ‘un. On the other hand, I have another client. A rookie online entrepreneur who has experienced a fair amount of success so far simply by throwing a bunch of mud up against the wall to see what sticks. But as soon as his rocket was off the launch pad, he was smart enough to realize an intelligent and experienced strategist COULD take his $12 million/year business to a $100 million/year business. HUGE difference between these two clients. The first client (actually ex-client), a tactician, is still in a continual struggle to keep from constantly regressing… trying one BSO (bright shiny object) after another, believing the latest fad will save him from himself. When I first slid the cocktail napkin in front of him with my advance and royalty scribbled in blue ink, his face went white as a ghost. …he stuttered… he stammered, he closed his eyes, wrinkled his brow and promised a FedEx would be in my mailbox in less than 48 hours. I knew it was the biggest retainer he had ever paid at that point in his business… and it was way outside his comfort zone. Now, a year later, you couldn’t pry this guy away from me with a crow bar. Heck, I almost feel a little guilty about all the money and perks he keeps showering me with. But I quickly get over those feelings of guilt when I see how rich he’s getting. Because of strategy, NOT tactics. Being a tactician is better than nothing. Motion always beats meditation… but motion without a strategic and well coordinated plan creates a “roller coaster” business and income. 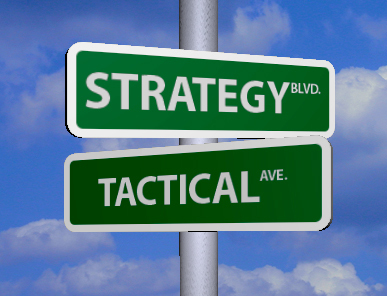 An experienced strategist will build you a REAL business. A stable enterprise capable of turning into an EMPIRE, supporting you in style for the rest of your life. And maybe, just maybe… your next two generations, too. The funny thing about all this is… it takes about the same amount of time and effort to be a strategist as it does a tactician.